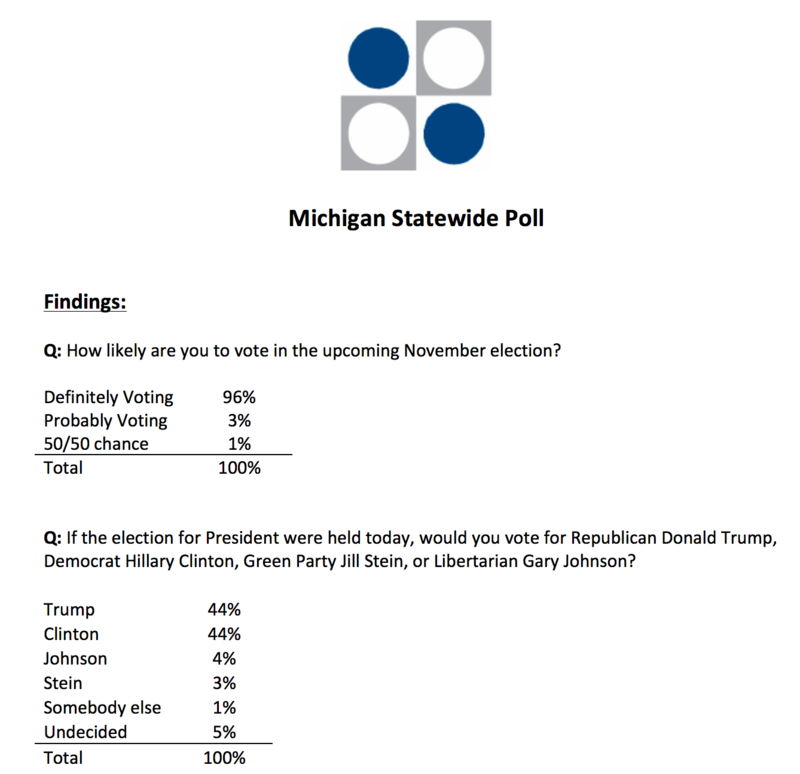 A just released poll by Grand Rapids, MI based Strategic National shows Donald Trump and Hillary Clinton tied in Michigan with just a few short days until Election Day. 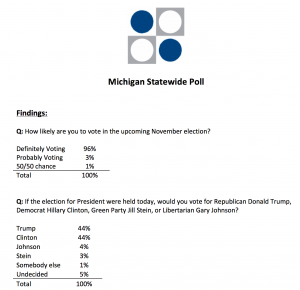 There is almost no path for Hillary Clinton to win if she loses the formerly blue state of Michigan. 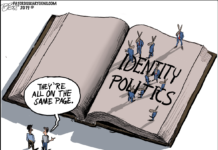 Mitt Romney lost Michigan by almost ten percentage points in 2010 and the state has not been contested since 2004. Michigan last voted for a Republican for President in 1988.